Every year the groundhog comes out on a cold morning in February to prognosticate. . . . predict the weather for the rest of Winter. Will we have 6 more weeks of Winter??? If he pokes his head out and sees his shadow, we have 6 more weeks of Winter. If he pokes his head out and does not see his shadow, Spring will be early! I always thought that was backward for some reason. Seems like if the sun is out and he sees his shadow, Spring should be early! But, what do I know. I'm not a groundhog. When we were in Punxsutawney one time for groundhog's day, we got this picture. So there you go! Here's a funny thing about groundhogs. . . they can also be known as whistle pigs because of the high screeching sound that they make. 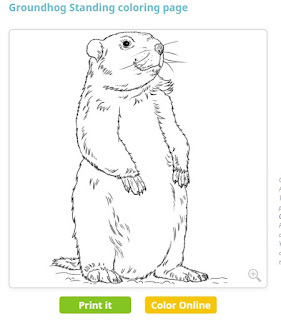 Also, another fun fact: They are actually considered large ground squirrels. 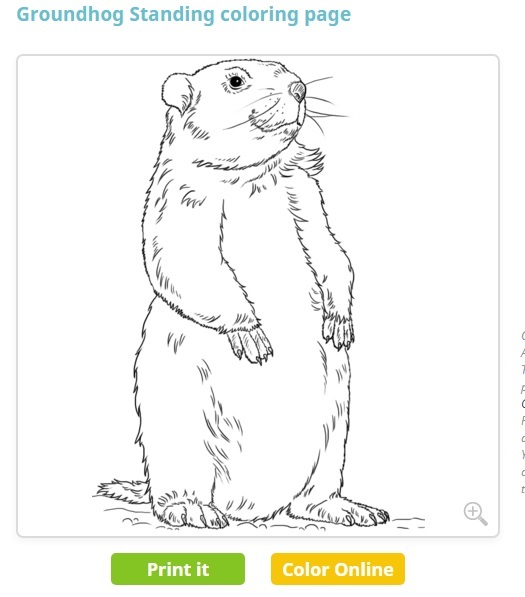 Although they are also called woodchucks, they don't actually chuck wood. So, how much wood would a woodchuck chuck if a woodchuck could chuck wood? Who knows?!? Since they can't actually do it, we'll never know. 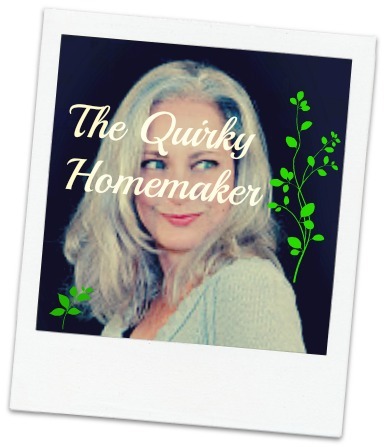 What I do know from an experience at a campsite is that they are curious little creatures, getting into stuff the way you think a raccoon might. And they apparently love carrots. If you are looking for some fun Groundhog day printables for your kids, or for yourself, it's that's how you'd like to spend your time, here's a list of websites that have free printables related to groundhog day. 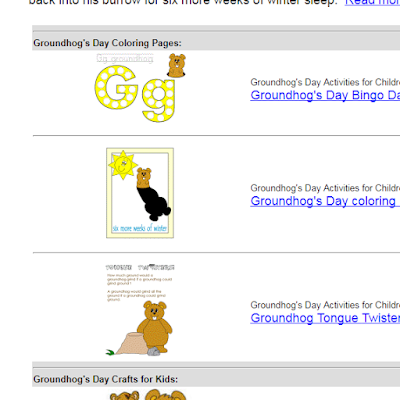 **The DLTK kids website, has all kinds of crafts, activities and printables for Groundhog's day. 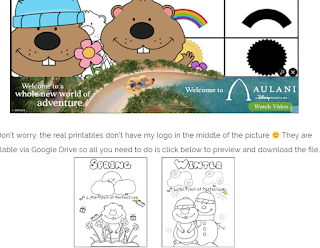 **ABCTeach.com has about 8 Groundhogs day printables that you can print for free, and then others that you can print if you have a membership. 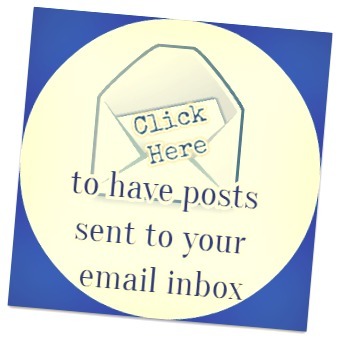 **Enchanted Learning looks like they have several printables, too. It's another site where you have to be a member, though. 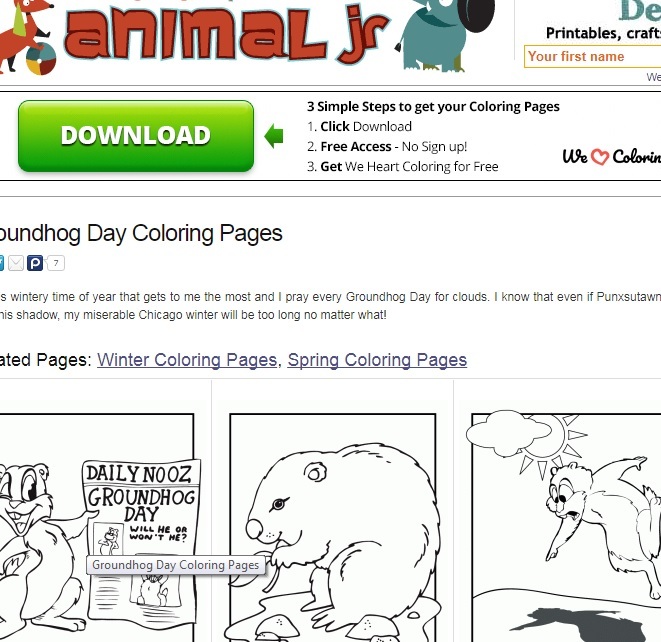 **Crayola.com has 1 printable coloring sheet of Punxsutawney Phil. 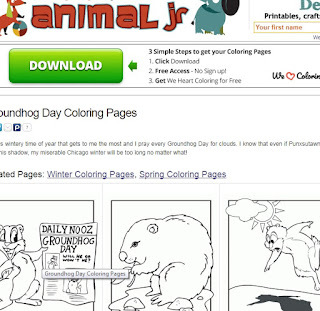 **EducationalColoringPages.com has 10 groundhog's day images that you can print. When I tried printing using their printing button, it came up blank. BUT, if you download it, it prints fine. **AnimalJr.com has some really cute printables that are different than others. 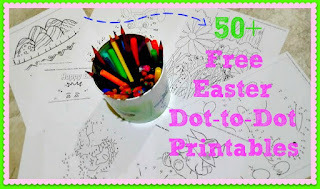 Those should be enough to keep you and your little ones busy coloring groundhogs for a while! 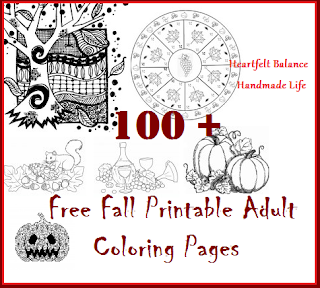 If you like coloring pages, check out our other lists of coloring pages and/or dot-to-dots for different seasons and holidays!